You know, that time of year when you hear random Mexican music playing in Sodexo and giggling girls are walking around doing scavenger hunts? It is that special time of year when Southern Nazarene University holds the annual “Heartpal” banquet! Heartpal is a traditional formal event that is put on in February, around Valentines Day, to celebrate both “hearts” and “pals.” During the Heartpal season, guys are encouraged to ask girls to the event in fun and creative ways. From balloons to secret messages, this is often an exciting and traditional part of Heartpal that many students enjoy doing. In addition to guys asking the ladies, Heartpal is a time when friends can dress up, hang out and really just enjoy the night while eating chocolate cupcakes and learning how to Tango. Yes, this year students will receive instructional dancing once again! From learning the waltz, to salsa and the tango, this is an opportunity you do not want to miss out on! This year’s theme is “The Great Gatsby.” Even though students are not required to dress up, if you’re feeling the “Roarin’ 20s” vibe, you are more than welcome to! Heartpal court: Holly Willard, Avarilla Anfuso, Allison Pardue, Madison Busic, and Kate Srader. No Heartpal is complete without its court. 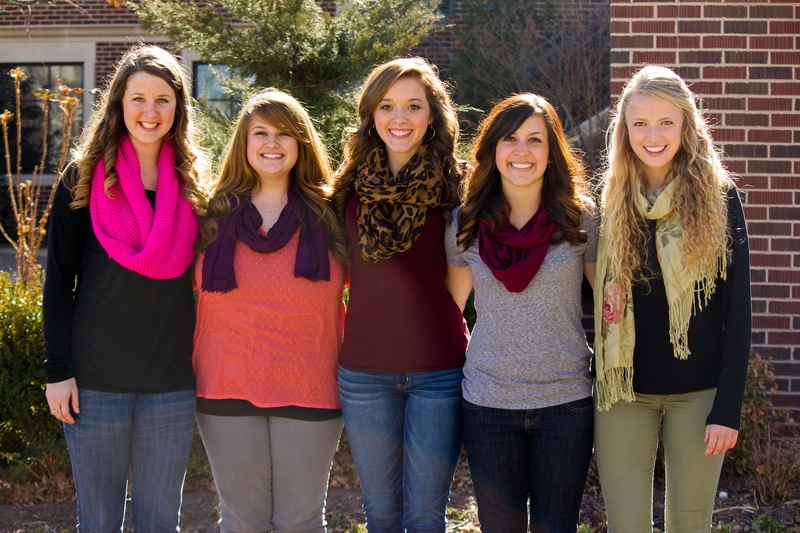 This year’s 2014 Heartpal queen candidates are Madison Busic, Holly Willard, Kate Srader, Avarilla Anfuso and Allison Pardue. The court is selected from eligible junior girls by the student body. All students are encouraged to vote during the event’s selection process! In addition to dancing and a great court, there are sure to be lots of snacks and drinks for everyone to enjoy as well as music and fellowship! Heartpal will take place on Friday, February 7th in the Oklahoma History Center from 8:30 p.m. to 10:30 p.m. So whether you’re with your “heart” or with your “pals,” this is sure to make for a memorable night. Hope to see you there!